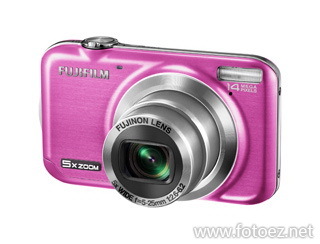 Free Download Fujifilm FinePix JX315 PDF User Manual, Instructions, User Guide, Owner's Manual. The stylish Fujifilm FinePix JX315 comes complete with all the functionality you'll ever need from a simple point and shoot digital camera. Sporting an impressive 14 megapixel sensor, a 5x optical zoom lens, 720p HD video capture and impressive features such as Easy Web Upload to Facebook & YouTube, this camera will not be a disappointment. This digital camera is perfectly suited to those style-conscious individuals that want a pocket-sized memory catcher that they are proud to carry around.